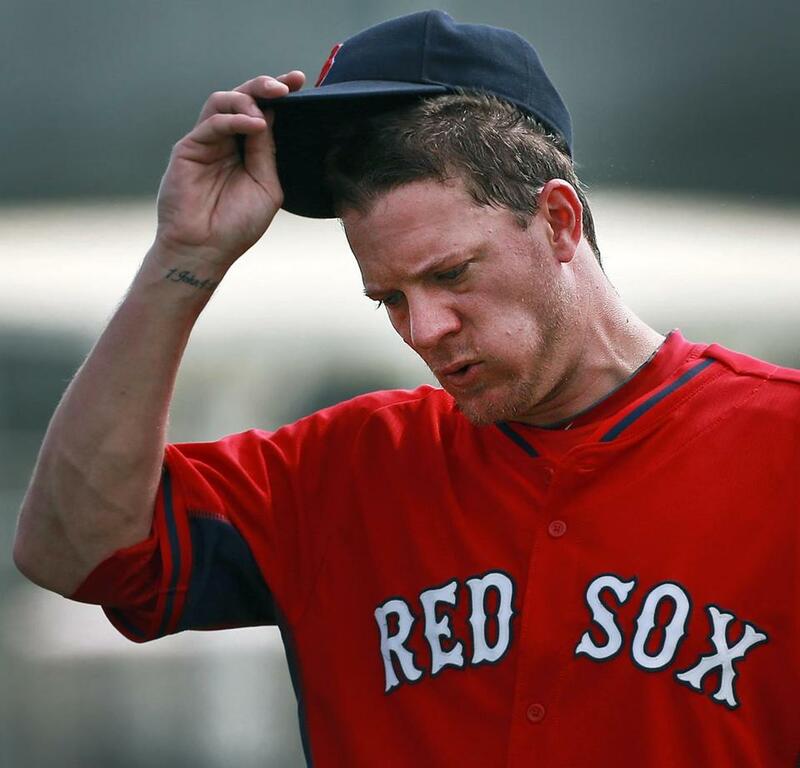 Jake Peavy says he wants to quit using smokeless tobacco because of his sons. FORT MYERS, Fla. — The sequence when Red Sox slugger David Ortiz walks to home plate has been the same for years now. But there’s one aspect of the routine that Ortiz wishes he could stop: the need to have a pinch of tobacco in his right cheek. It’s a habit he picked up in the minor leagues and can’t break. Smokeless tobacco use stubbornly remains a part of baseball, even though Major League Baseball has tried to discourage its use for the last few years because it is known to increase the risk of cancer. While smokeless tobacco use is not as prevalent in baseball as it was several years ago, a survey of the 58 Red Sox players invited to spring training this year found 21 who admitted to using it. “It’s a nasty habit, but it’s one of those traditions in baseball,” said Red Sox manager John Farrell, who “dipped” smokeless tobacco when he played and admits to using it now on occasion. Major League Baseball rules prohibit teams from providing tobacco products to players and strongly encourages clubhouse attendants not to purchase tobacco for players. Players cannot have tobacco tins in their uniform pockets or do televised interviews while using smokeless tobacco. Violators are subject to fines; no Red Sox players have been fined. The rules were put in place in 2011 as part of the latest collective bargaining agreement with the Players Association. An initial proposal to ban tobacco use entirely was rejected by the players. The idea behind the rule change was to look out for the health of the players, present a better example to children, and clean up the image of a game long stained by disgusting brown spit. As part of the effort to discourage use, the Red Sox provide alternatives to their players. There are five flavors of bubble gum available in the clubhouse, along with tubs of sunflower seeds. There’s even a big box of fruit chews imported from Japan. Most players who use smokeless tobacco actually use snuff, finely ground tobacco usually placed under the lower lip. A few players chew leaf tobacco, creating telltale bulging cheeks. In the Globe’s informal poll, the only Red Sox player who said he didn’t want to quit was outfielder Jonny Gomes. He’s also the only one interviewed who uses chewing tobacco, not snuff. “I’d quit if my family wanted me to,” Gomes said. “The kids aren’t old enough to realize what’s going on. People are baffled I don’t do it in the offseason because I do it all the time when we’re playing. But I don’t have an addictive personality. There’s just something about it that goes with baseball. There’s something attached to hitting. I can’t describe it. For each player, the habit takes on different forms. Pitchers Jake Peavy and Felix Doubront said they use smokeless tobacco only when they’re on the mound. Fellow pitchers Andrew Miller and Clay Buchholz use it during games but not when they’re pitching. The dangers of smokeless tobacco are evident. It increases the risk of various forms of oral cancer, gum disease, and lesions in the mouth that can become cancerous, according to the American Cancer Society and other medical groups. Hall of Famer Tony Gwynn was found to have mouth cancer in 2010 and required extensive surgery. He believes it was from tobacco use. Smokeless tobacco delivers a greater dose of nicotine — the addictive ingredient in tobacco — than a cigarette, according to the National Institute on Drug Abuse. Although the nicotine is absorbed more slowly, a greater amount stays in the bloodstream. Starting in 2012, teams were required to have dentists screen players for signs of oral cancer. The Red Sox had their exams when they reported to spring training. “You certainly understand what MLB is trying to do,” Peavy said. “I respect that. At the same time, it’s really, really hard to tell grown men who have been in this game and done it for a long time that they can’t do something that’s legal. Old habits die hard. But Peavy wants to quit because of his three young baseball-loving sons. “I can’t stand the idea of them seeing me do it and thinking it’s OK for them,” he said. Doubront, who has two sons, feels the same way. “My family hates it,” he said. Fears that players’ children, and young fans, will follow their lead are well founded. A survey done by the Centers for Disease Control and Prevention in 2009 found that 15 percent of high school boys were using smokeless tobacco, a 36 percent increase from 2003. Third baseman Brandon Snyder quit after he found out his wife was pregnant early last season. Because tobacco use is prohibited in the minor leagues and most levels of amateur baseball, many younger players arrive in the majors unfamiliar with it. But two Sox prospects, outfielder Bryce Brentz and lefthander Drake Britton, said the minor league tobacco ban is only casually enforced. Britton was casually spitting into a water bottle as he spoke. Brentz, 25, is trying to quit now. He’s worried he’ll reach for a tin once he goes hitless in a game. Snyder and Gomes have tried chewing a mint product manufactured in Danvers. Jake’s Mint Chew, founded in 2010, has provided a tobacco alternative to players from the Red Sox, Orioles, Dodgers, and Twins, along with a few NFL players. Adam Benezra, who founded the company with Jake Sweeney, said sales rose by 132 percent after the first year and have climbed steadily sense. The company now has seven employees. “We get a lot of athletes who contact us,” Benezra said. Miller could be the next.